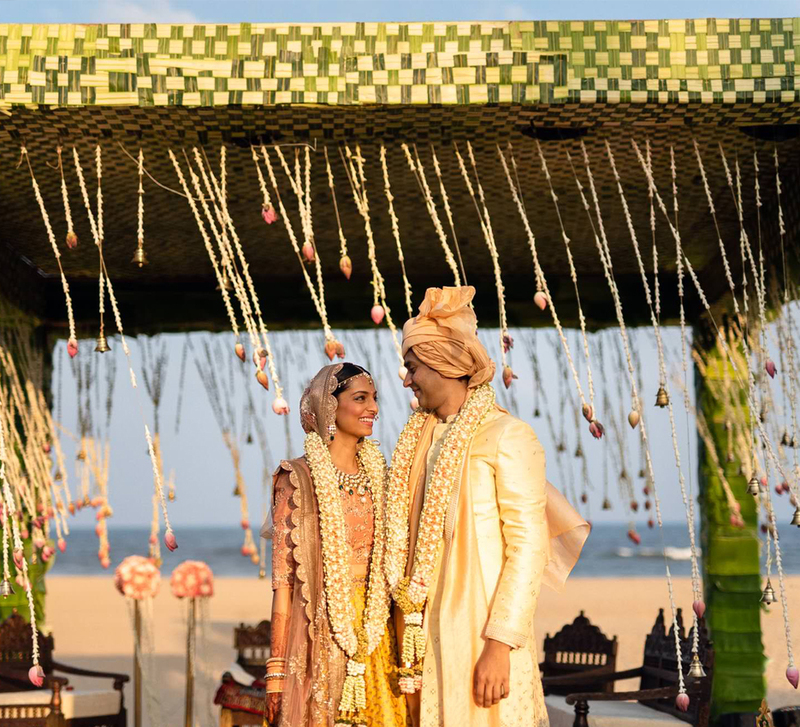 Sanchita and Abhishek celebrated the union of their love and cultures in India’s City of Love! 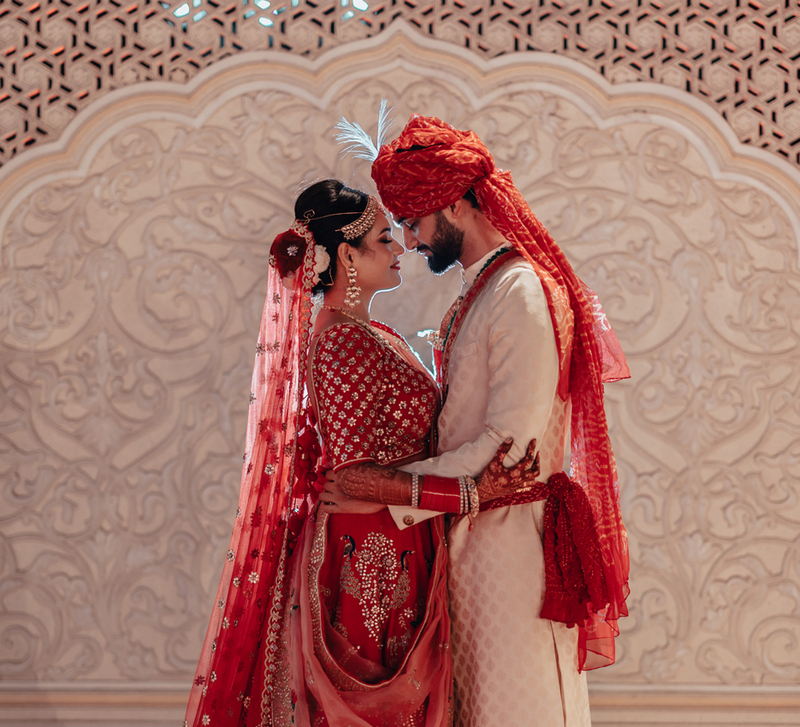 Abhishek and Sanchita’s sweet love story brought two different families together in a beautiful duet of ceremonies and cultures. With ritzy décor and lots of emotion, the wedding at the picturesque venue, ITC Mughal, Agra was perfect. The bride shares with us their story and the details from the wedding. When Sanchita was introduced to Abhishek at a party, they hit it off immediately and exchanged numbers. What followed were dinner dates, movie dates and more. 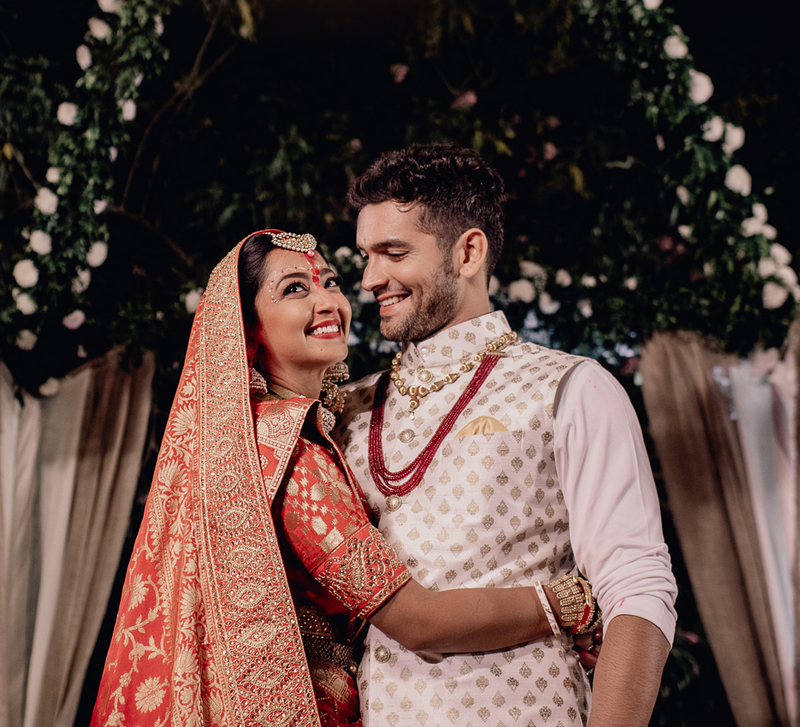 This Kannadiga boy had fallen head over heels in love with the Punjabi kudi and together they began planning their forever! “Abhi’s proposal was sweet and thoughtful! For a person who had never cooked in his life until then, he whipped up a 3-course meal and plated it and it looked and tasted so good! After this, he brought me flowers and then came ‘the moment’. He went down on one knee and asked me to marry him with a gorgeous ring. We were both moved to tears and it was definitely the happiest moment of my life,” the bride shares. The festivities kicked off with a cocktail party in Delhi. Sanchita looked gorgeous in a silver embellished Ridhi Mehra lehenga, teamed with an intricate bun and striking eye makeup. Her wardrobe complemented the white-dominated décor infused with touches of blue, floral table stands adding pops of color. The Mehendi ceremony took place in Agra, where the décor featured unique pink tasseled hangings. 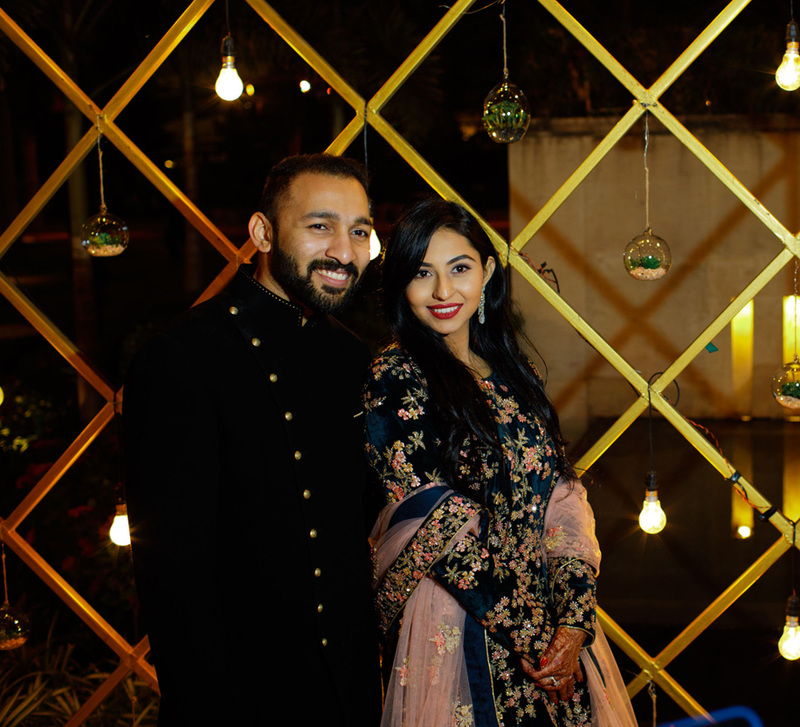 Sanchita chose to wear a beautiful Abhinav Mishra lehenga adorned with mirror work. The look was finished with a sleek side parting and loose tresses along with well-defined eye makeup. Sticking to the traditional look, the bride wore the classic white and gold sari by Vijayalakshmi Sarees. The traditional braid hairdo adorned with small flowers teamed with just the right amount of jewelry was just perfect to enhance the look. The wedding began at 4 am where the stage was set in front of a wall that was lit with 200 diyas, making the setup even more striking. For this wedding, the bride chose a stunning Om Parkash Jawaharlal lehenga while the groom wore a pastel suit from Brahaan by Narains. Both Sanchita and Abhishek’s wardrobe matched with the décor that was dominated by white and pink flower hangings and table stands.